Happy 10th anniversary, Mediterranean Garden Fair! 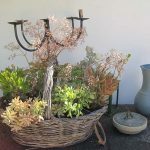 Home » Happy 10th anniversary, Mediterranean Garden Fair! October brings a fresh beginning and is the perfect time of year to be busy with plans for refurbishing and replanting our gardens. We are eagerly awaiting the first good rainfall to bring our second spring of the year. For the last 10 years, the end of October has also been the time for the Mediterranean Garden Fair in the Algarve. Starting from small beginnings in 2008, but always with great support from specialist local plant nurseries, the event has become a firm fixture on the gardening calendar for the region, and for further afield. Over the years, we have had visitors and nurseries from Spain and France and speakers from the UK. The programme of free talks has always aimed to inform and educate about our special climate and sustainable gardening. Topics have included ‘starting from scratch’, grasses, succulents and ‘using native plants’. There have also been workshops on propagating from seed and cuttings, mulches and compost, and on pests and diseases. 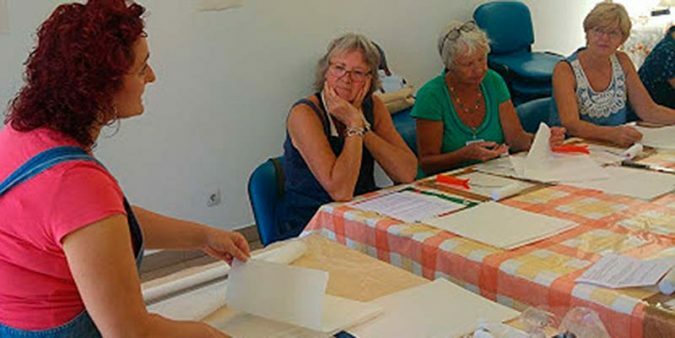 In 2017, there was also a popular workshop on ‘Printing from nature’. Sharing knowledge and experiences is a great part of the day. 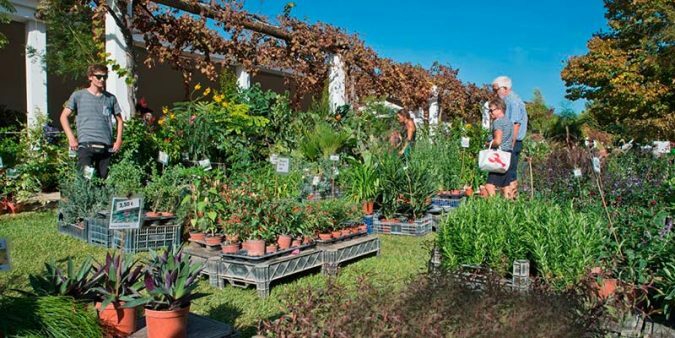 The first events were held under the name of the Mediterranean Garden Society, but since 2014, when the Mediterranean Gardening Association for Portugal was registered, the garden fairs have been the responsibility of MGAP and its hardworking volunteers. We have received tremendous support from the plant nurseries, and local family-run businesses have benefited from the response of local gardeners seeking climate-appropriate plants for their gardens. A range of indoor exhibitors contribute to the variety of products on offer such as spices and herbs, organic products, ceramics and yummy cakes. Nurseries have been positively encouraged to promote native and drought-tolerant plants. There now seems to be a better selection available for visitors to the fair and the variety of plants is increasing. 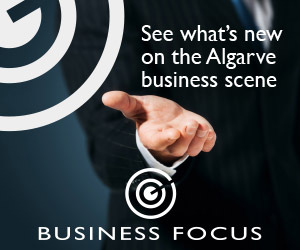 So popular is the autumn event that since 2015 MGAP have also organised a Spring Garden Fair which takes place near to Silves. Various venues were utilised but, whatever we did, there never seemed to be enough car parking. Another area that was always a bit hit and miss was the catering; it seemed to become a standing joke that the plants were good, but the food and drinks could not be relied on. Our policy was to concentrate on the plants and leave the food to someone else … perhaps it showed! We certainly hope that everyone who has supported these events over the years has had fun and has also learned something along the way. It is good to have this opportunity to thank everyone who has come along, rain or shine, to take part in this special annual event. It is also good to have the opportunity to thank the many volunteers who, over the years, have made this event possible. 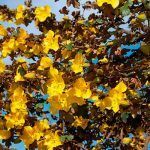 To continue the tradition for 2018, there will once again be a Mediterranean Garden Fair in the Algarve on Saturday, October 27 at the Museu do Traje in São Brás, from 11am to 4pm, in the historic courtyard garden behind the museum with plenty of room to sit and chat and to visit the nurseries. 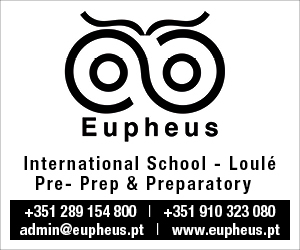 We are very grateful to have the support and cooperation of the Amigos do Museu and São Brás Câmara. As a new offering this year, we will have a workshop for our young gardeners on making a portable garden, which they can take home with them. 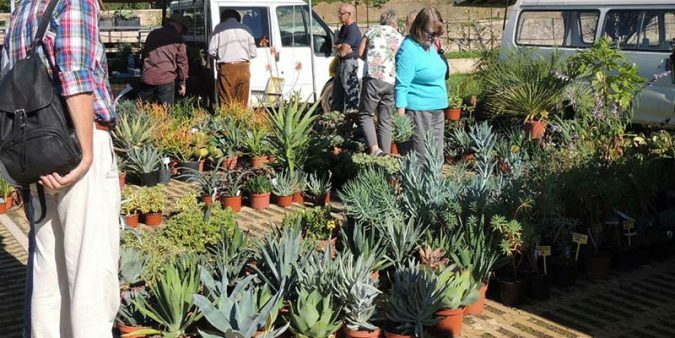 There will also be an opportunity to donate plants, trees, shrubs and seeds to the gardeners of Monchique in the area recently devastated by fire. This year there will be the usual good selection of nurseries offering plants, vegetable plants and seeds, fruit trees and native seed as well as two free talks: one on culinary and medicinal herbs from Fernanda Botelho plus a talk from the founder of Sementes de Portugal, João Gomes. 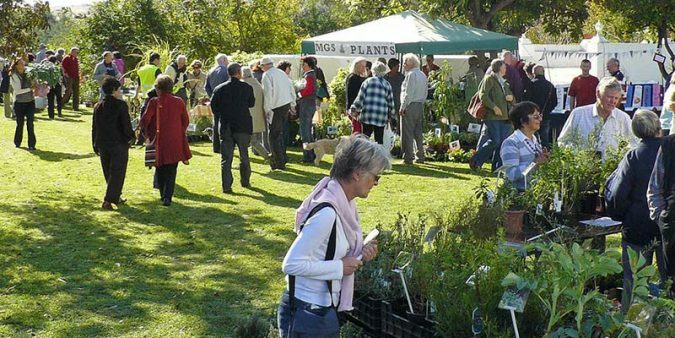 Also on site will be the popular plant crèche and the MGAP book shop and plant clinic. All talks will be in English but with the opportunity to ask questions and discuss issues in Portuguese. Oh, and the food will definitely be wonderful!